For her graduation project at the KABK (Royal Academy of Art, The Hague) Nina Rodner contacted us because she needed some help with a crazy project she was working on. 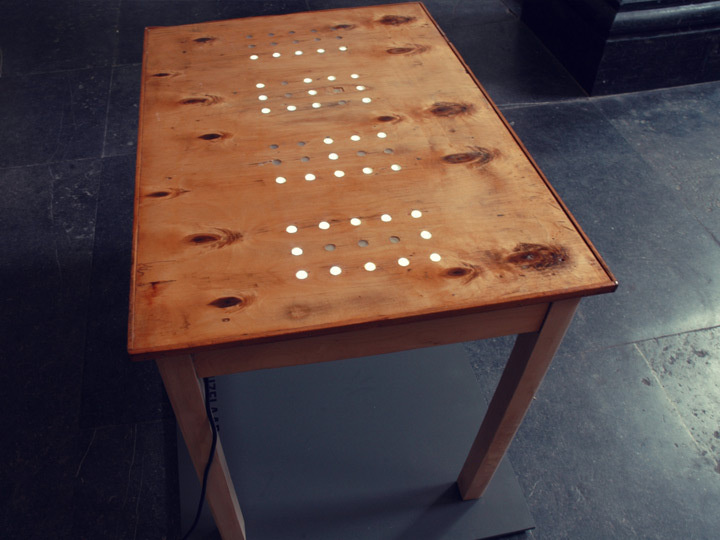 She had rescued an bunch of tables from the scrapyard she and decided to give one of them a new life by having it tell time. 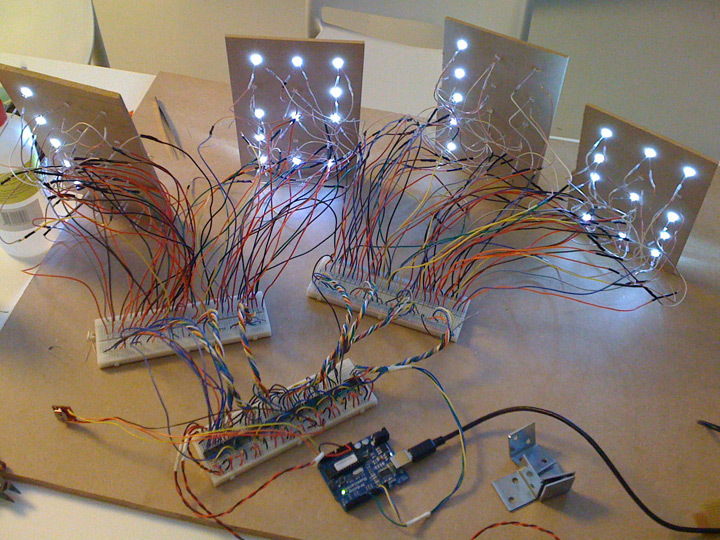 She started out by soldering all leds and connecting them to an Arduino microcontroller trough a comprehensive breadboard setup and multiple shift register IC’s. This is where she ran into various problems and where our expertise was required. We helped her with programming the firmware and troubleshooting her circuits. 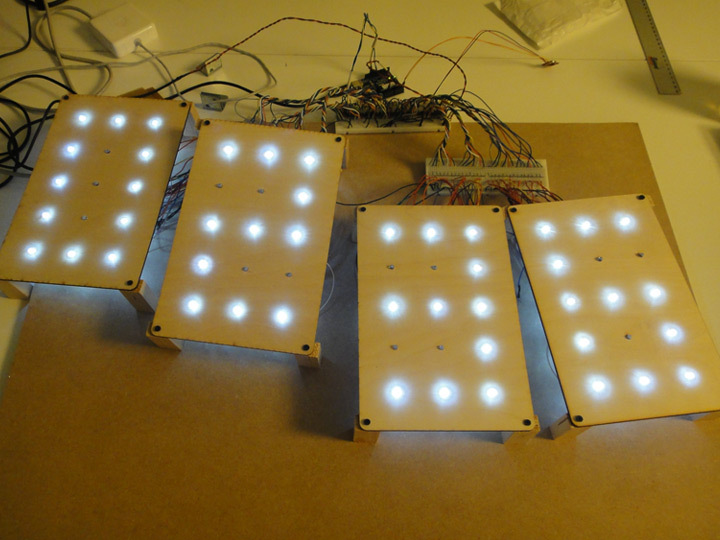 We developed custom code to retrieve the current time from a real-time clock IC which could then be displayed as digits on the LED matrix she made. 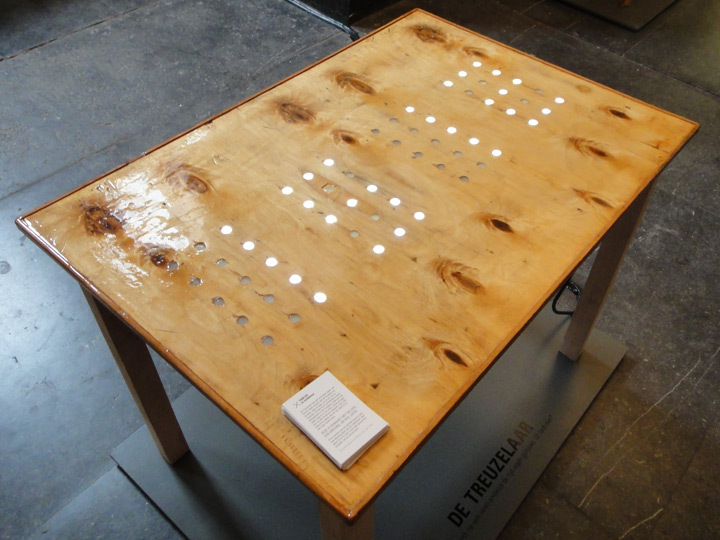 The project was finished just in time for the graduation show at the KABK.